My name is Thalia Moore but people prefer to call me Jingles. I attended Mills in 2011. Race has always been something that I’ve had to deal with, but I didn’t fully understand. A student named Daisha asked me to come to the BWC and she told me that it was a safe space. I didn’t know exactly what that meant until I noticed that there were only two black girls on my floor in Warren Olney, and one in each hall. I didn’t know what that meant until I had girls — who I didn’t know — ask if they could touch my hair, ask if my hair was like pubic hair because it’s so curly. I’ve had girls ask me if I tanned because there is no way that I was truly black. I’m not sure what that even means. It does not come as a surprise to me to learn that there still is a race culture at Mills and I am proud that it’s no longer being ignored. There are people who would discredit my actual being there because they assumed that I was black and I got a full ride. The only financial aid I had was a $5,000 music scholarship, which I earned. Mills is supposed to be a place where I can feel empowered regardless of my skin tone and there were times when I felt more trapped. It’s a subject that no one can really understand unless they have been there. To those who have a problem with someone using the world “privilege,” please understand that it’s not meant to demean you or hurt your feelings. It’s just a fact. Privilege does not come from money. It comes from the fact that you will never have to know what it feels like to have someone spit on you and call you a n—– (which I have). It means never having to worry about someone questioning your worth or if you’re “meant” to be on campus. The world is full of bigots and closet racists, but a place like Mills shouldn’t have them in such abundance. I’m proud of the BWC and I have never wanted to return to Mills more than I do right at this moment. They’ve made a change and a path for future students of color that may be easier to walk on. 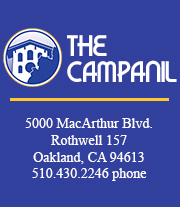 For more related posts, check out The Campanil‘s designated web page for our ongoing protest coverage.